With its memory foam insole and hand-woven upper, Black Silver Lightweight Women's Woven Loafers feel like it's custom-made for your comfort. Breathable Lightweight Woven Loafers Upper stretches to eliminate pressure points. Lightweight, flexible traction outsole.Our quality control team oversees every part of the manufacturing process. We pride ourselves on our attention and dedication to detail design without sparing comfort. Looking for ideal Black Silver Woven Loafers Manufacturer & supplier ? We have a wide selection at great prices to help you get creative. All the Lightweight Woven Loafers are quality guaranteed. 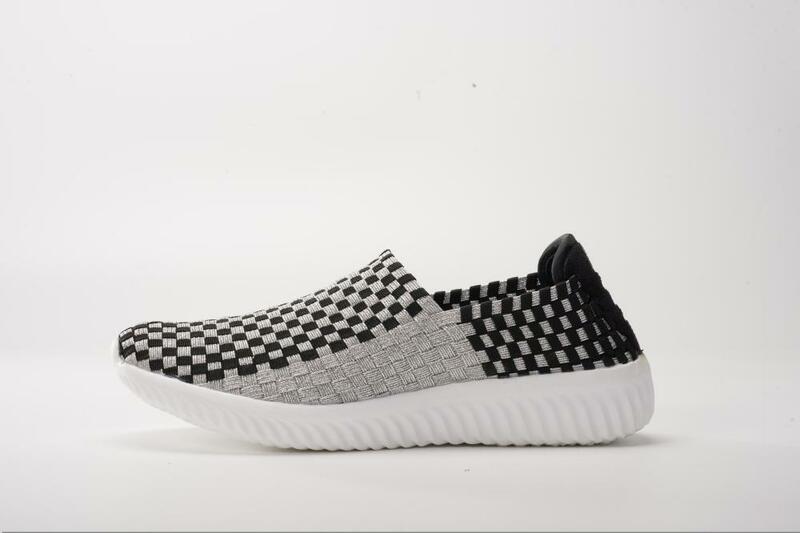 We are China Origin Factory of Breathable Woven Loafers. If you have any question, please feel free to contact us.